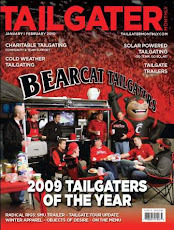 BearcatTailgater.com: USF Tailgate Details - See you Tomorrow! Tomorrow should be the next big step to our next Big East Championship as our team takes on the Bulls of USF. Kick-off is at 8pm. This is a RING OF RED Game, so WEAR RED! We will have plenty to drink and a selection of munchies including some chicken wings, but please bring a dish to share with everyone. On tap we will have Hudepohl's new Amber Lager and plenty of Hoist to help us recover. 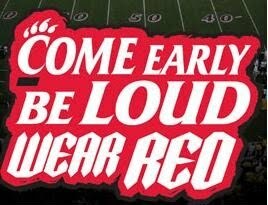 Come Early, Be Loud, and Wear RED. As always everyone is welcome (must be 21 to drink) and donations are appreciated to off-set our costs.